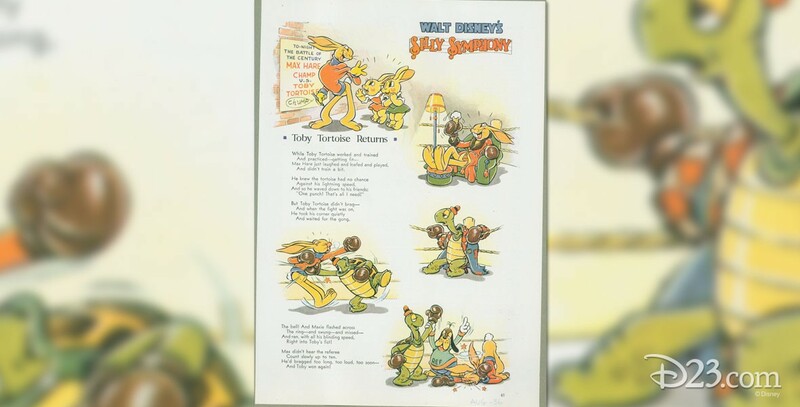 Toby Tortoise Returns (film) Silly Symphony cartoon; released on August 22, 1936. Directed by Wilfred Jackson. Max Hare and Toby Tortoise are opponents in a boxing match. Max becomes frustrated when Toby retreats into his shell during punches. Max cheats by dumping fireworks into Toby’s shell, but the plan backfires when it helps Toby win. A sequel to The Tortoise and the Hare.